Flowers convey a message that cannot be put into words. The Flower Shop of Branford, FL provides a variety of fresh, fashionable floral designs to ensure that your gift is one of elegance and beauty. 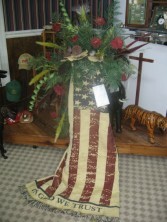 To get your custom gift items, come by and see The Flower Shop - your local Branford, FL florist.